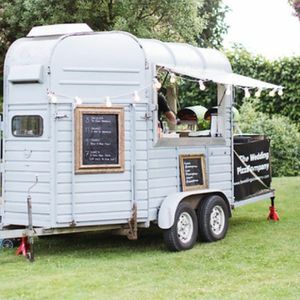 We have a very simple pricing structure - we charge £200 for a horse box with 2 staff, and then £8 per pizza (regardless of the topping). 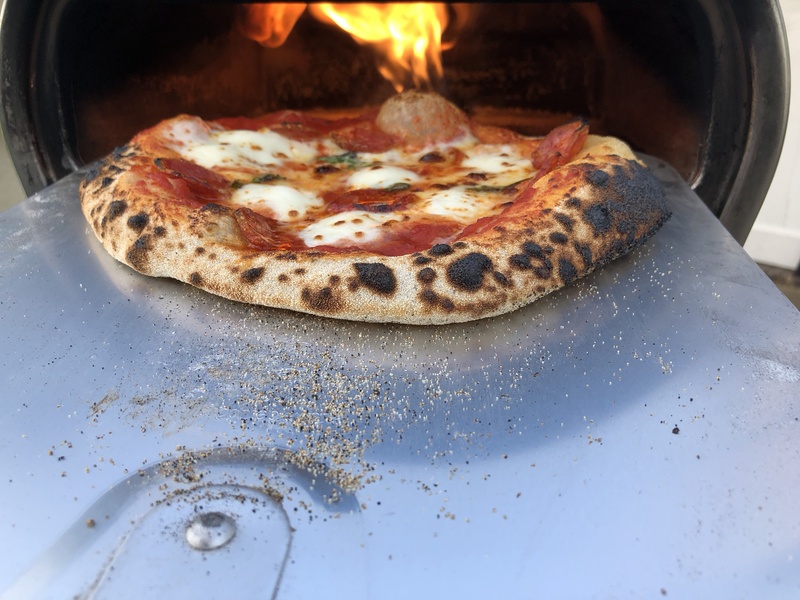 We run two converted Rice Horseboxes, both equipped with 2 RoccBox ovens capable of producing up to 40 made to order pizzas per hour. We produce a bespoke menu that reflects exactly what you and your guests would like. Our dough is made with 00 Caputo flour, our sauce is home-made and organic, as are all our vegetables. 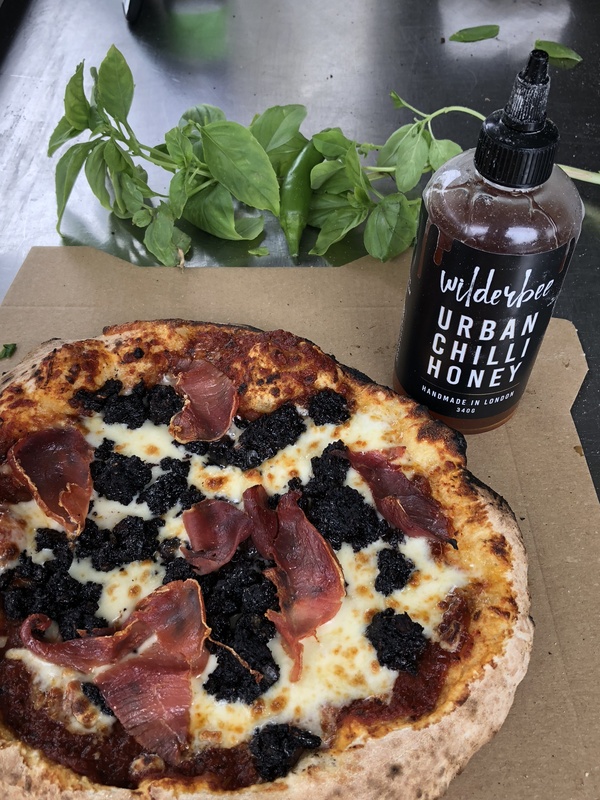 We dress each pizza with basil from our greenhouses, and offer organic Wilderbee urban chilli honey, imported Italian Parmesan, and No1 Canadian maple syrup (wonderful with bacon)! The pizzas are c10 inches and are Neapolitan style made with a sourdough starter - they will certainly feed a hungry adult. If anything is not eaten (very rare) it is boxed and can be put in your freezer. Absolutely amazing, fantastic pizzas!! Very friendly and reliable - Thank you so much for an excellent service! This is pizza the way you WISH it was whenever you try a new pizza joint. Quality ingredients, baked to perfection. And there's pizza for desert too! Woo Hoo!! Seriously book these guys for your event if you want fun, casual, GREAT Tasting food for your wedding, you won't be disappointed. I write as a VERY satisfied customer. Cheers! The most responsive company who makes the BEST pizzas you will ever taste! 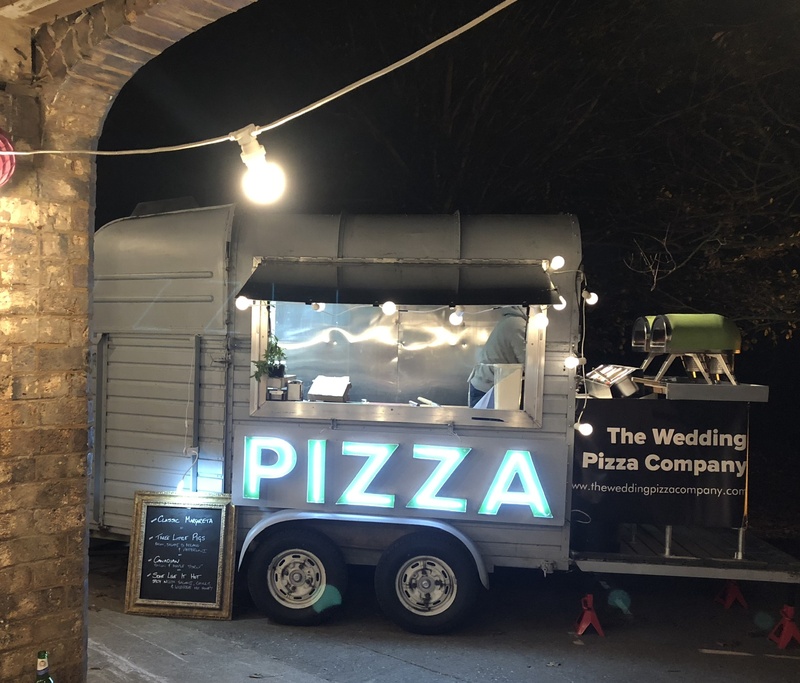 I found it so hard to find a mobile pizza company that not only served delicious authentic Italian pizza but in a unique stylish horse trailer too…that’s until I was lucky enough to come across The Wedding Pizza Company! Stephen and his team did the evening food at our wedding, it was absolutely fantastic, the pizzas were delicious and they just kept coming! I would highly recommend them for any event! We hired Stephen and team from the Wedding Pizza Company, best decision we ever made! Amazing food, great value and made our day! Even our Italian relatives were hugely impressed with the delicious food! I wouldn’t hesitate in recommending them! What are your top pizza tips? The best thing about pizza is that it not only works great in the evening, but can also be eaten for breakfast if you pop it in the microwave. Top tip: put a glass of water in with it when you reheat as it stops the base going soggy! What kind of drinks would you suggest serving alongside the pizza at a wedding? Pretty much everything works – we have strong flavours, so a red wine goes well with a meat pizza, and white wine or champagne with a Margherita. Beer works with anything! What kind of response do you usually get? Where do you stand on the whole Hawaiian pizza debate? What are your most popular pizzas? 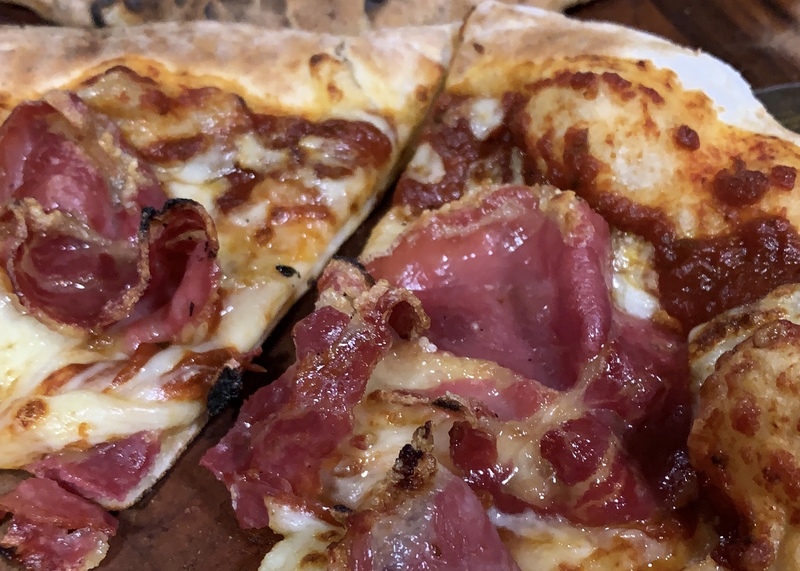 Our most popular pizza is the “3 Little Pigs” (pepperoni, salami, and bacon) although once eaten, the Canadian (bacon and maple syrup) is very popular. We make everything to order, so we get some interesting requests, including a member of the Royal Family asking for ‘as much meat as you can get on it’! Can you have it as the wedding breakfast or is it more suited to the evening party food? Most people use us as the evening food, as it’s ideal to keep guests going late into the night. We can be used as the main event as we can made garlic breads and provide salads, as well as making our own baked cheesecake. Next year we are launching The Wedding Steak Company, so will be offering a full day of amazing food. If it fits in our oven, we can put it on a pizza!